Installing your composite decking might seem like something you’d want to leave to the professionals but we’ve put together a video that explains it might not be as tricky as you think! 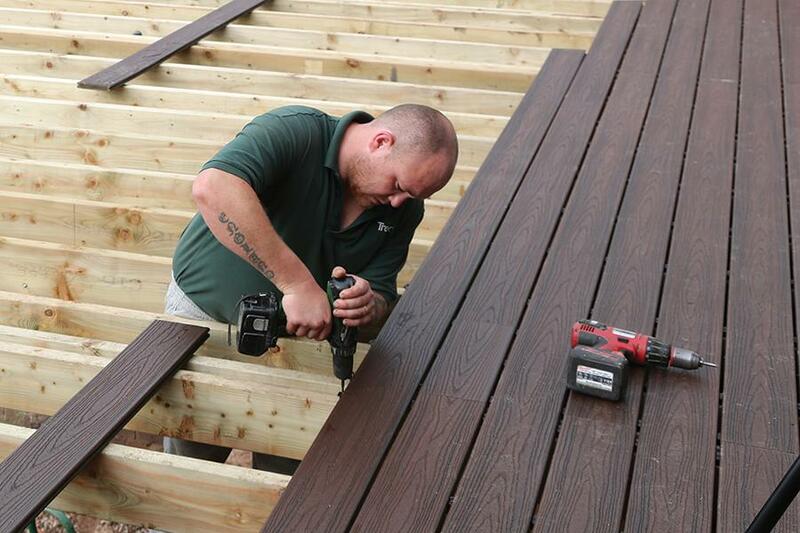 Trex Transcend is a type of composite decking manufactured from recycled wood and plastic. It’s the most weather resistant, low maintenance composite decking product on the market. It won’t warp or splinter, it will never require staining or painting, it is fade, stain, mould, rot and scratch resistant and will look as good in 25 years as when it was first installed. If you choose grooved Transcend for your deck, you have the option of using the exclusive Trex Hideaway Hidden Fastener System. The fasteners clip between each board for a seamless, fastener-free look. No screws, no screw holes, nothing to interrupt the smooth texture and comfortable feel of your new Transcend deck. Take a look at our new film to find out how you can get your Trex Transcend boards down without the hassle!